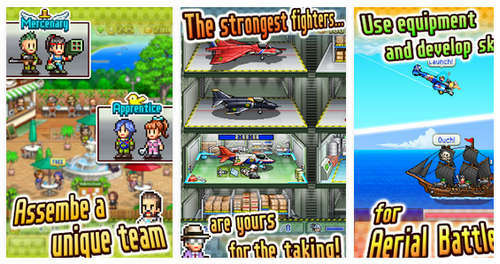 Kairosoft is back with yet another simulation and this time involving fighter jets. Skyforce Unite! 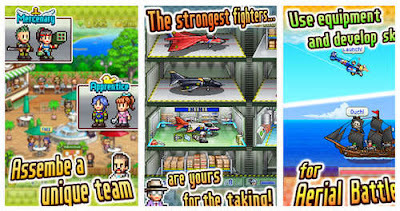 Hack v1.8.2 is a strategy RPG where players unite a team of heroes to pilot war planes and fight monstrous creatures. Once in the air, players can explore the high seas and rolling plains, where they'll battle monsters, pirates and other foes using wind, water, lightning and earth elements. The game also allows players to team up before tackling the New World, a fabled land full of monsters. You can grab the modded apk of Skyforce Unite! from the link below or download the original version from Google Play as it's free-to-play. Either way, comment and let us know of your experience with the game. Game updated on May 28, 2018 (Latest version 1.8.2). If you can not install the game you will need to clear your Google Play's data and cache. Startup error is now fixed. The gold cheat may or may not work fine in this latest version. No Root is required!